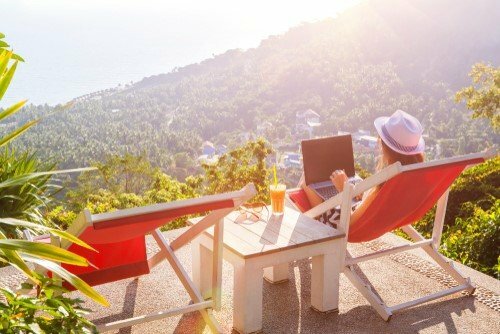 Because of the advent of technology, more and more people are choosing to work as a digital nomad. In its simplest sense, digital nomads are people who heavily rely on telecommunications and other technologies in order to earn. They usually live their lives in a nomadic manner – they’re always moving from one place to another. Most often than not, digital nomads can be seen working in coffee shops, co-working spaces, public libraries and even inside recreational vehicles. Their job only requires a stable internet connection and a working laptop, so they have the convenience to work anywhere they want. But since this kind of job is also very particular and has certain requirements, it’s crucial for digital nomads to be careful when picking an accommodation when traveling. Setting a budget is a need, not a want. 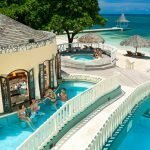 With the number of people working as digital nomads, you’ll be bombarded with a lot of choices for your accommodations. If you’re seeking accomodation for the first time, choosing one might become tough for you. To narrow down your search, set up a budget of the amount you’re willing to spend for your living expenses. While you’re at it, don’t forget to include a stretch budget on your list. With a budget in mind, you’ll know which accommodations you should consider looking into and which ones should be crossed off your list. Doing this will give you solid figures to negotiate with prospective hosts. As much as possible, stick to your original budget and allot your stretch budget to paying for bills. If you’re eyeing an accommodation that’s within your budget and has all the things you need, try to book quickly to avoid losing out. The establishments located nearby are just as important as your actual accommodation. Obviously, your accommodation can significantly impact your productivity levels and the amount of enjoyment you’ll experience when travelling. However, you shouldn’t solely focus on your accommodation; you should also look into the establishments that are located close to your accommodation. This is essential, especially if you’re planning to stay in this area for weeks or months. Start by using Google Maps, type in the address of your accommodation and assess the establishments within the area. Are there any beaches or is this town full of five-star restaurants and cafes? Are the coffee shops near your accommodation or do you have to travel for hours? You should have an adequate knowledge of these establishments so that you’ll have options for dining or entertainment activities when you’re not working. Depending on your preference, you might choose an accommodation that is situated in the middle of a busy city or within a quiet neighborhood. Regardless of your choice, always prioritize your safety and security. 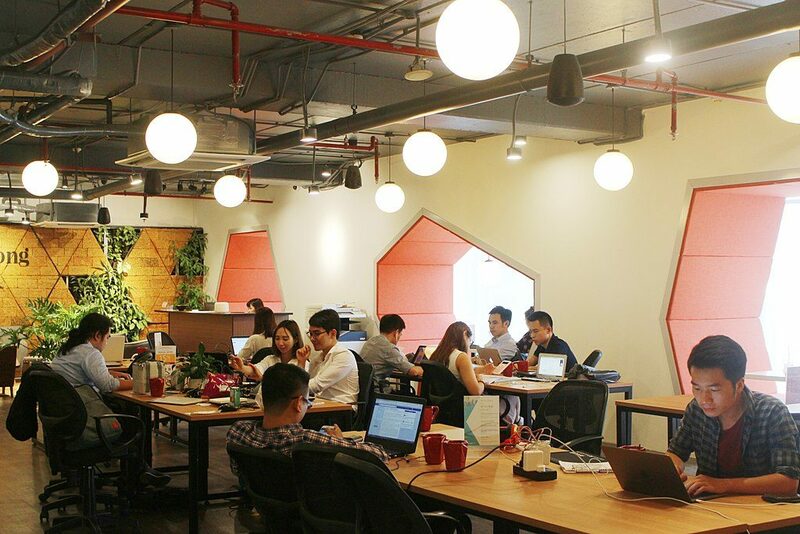 Reaching out to a coworking space can do wonders. When you already know where you’re travelling, scout for coworking spaces that are operating within or near the area. Reach out to them and ask if they have any recommendations for a digital nomad accommodation. 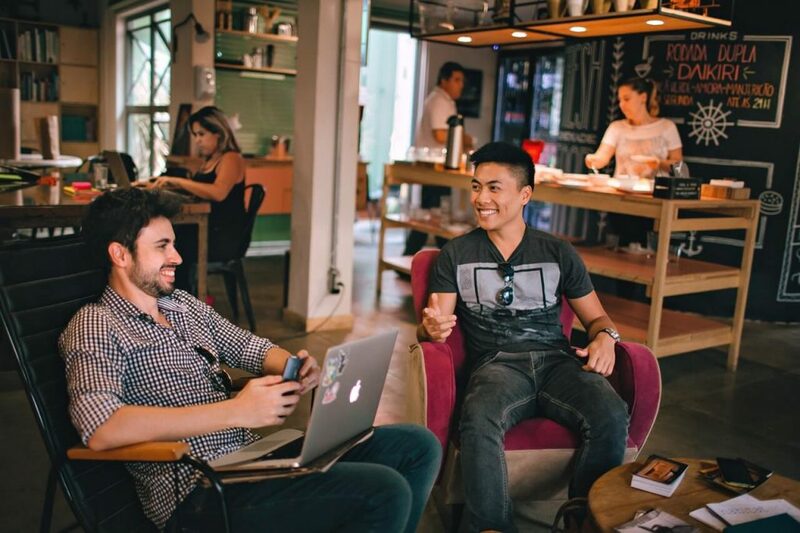 Look for coworking spaces that have been operating locally for years so that you can be sure that they know a lot about digital nomads – who these people are, what they do for a living, and how they accomplish their tasks. With their experience, you can guarantee that their recommendations are credible. Utilize nomad accommodation specialists found online. The 21st century is considered the digital era, which means that every question you have in mind can be answered using technology. 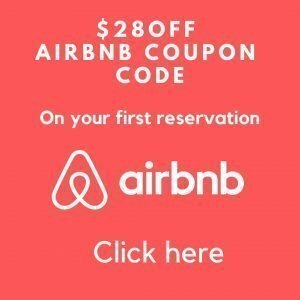 When you’re having a hard time looking for accommodation suitable for digital nomads, make a quick search online. The internet is basically a goldmine of information, providing you with options for the best accommodation when travelling. There are also housing websites that are designed by nomads for nomads. These businesses know what your job is and what you’re looking for in an accommodation. They’ll know what you need and will provide several options to satisfy these needs. One of the best in the industry is Mojo Nomad. This website can provide you with several accommodation options fit for digital nomads. You’ll never have to worry about travelling and not being able to finish work on time because Mojo has got you covered! Let reviews influence your decisions. Technology has improved everyone’s lives. But because of its accessibility and convenience, it’s also used by people to trick others for their personal intentions. There are many businesses that can offer you digital nomad accommodation, but not all of these are legitimate or legal. When you don’t have any experience in looking for accommodation when travelling, you might easily fall victim to businesses like these. And when you do, you’ll end up wasting your time and money, and even risk your career as a digital nomad. To steer away from this direction, take the time to look into a business’s online reviews. These can be seen on their website (if they have a reviews page) or in various online communities. This information will help you determine how the business operates and if the business is credible or not. A co-living space is an excellent and cheap option. If you have friends who are also travelling and will be staying in the same location for months, discuss amongst yourselves the possibility of a co-living space. This is a kind of living arrangement where digital nomads live together and accomplish big tasks together. A co-living space will not only be more fun (since you’ll not be living alone), but it can also be a cheaper option since bills will be divided among many people. 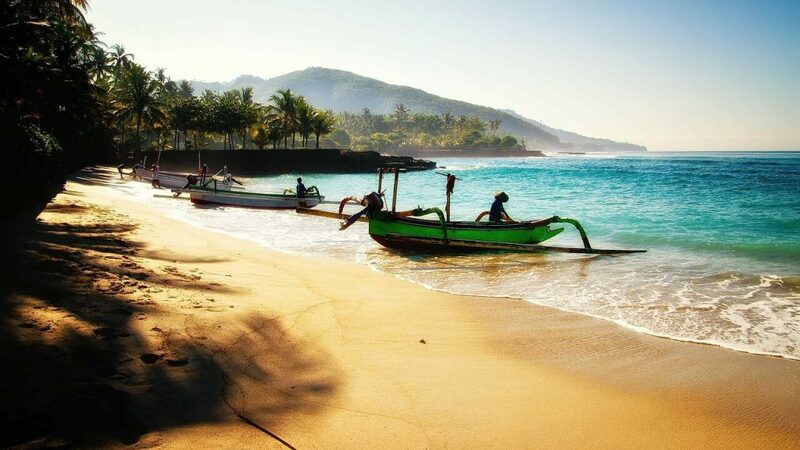 Contrary to popular belief, looking for a digital nomad accommodation is actually very easy. Aside from the information from this article, there are several booking websites on the internet and even businesses that can help you throughout the entire process. 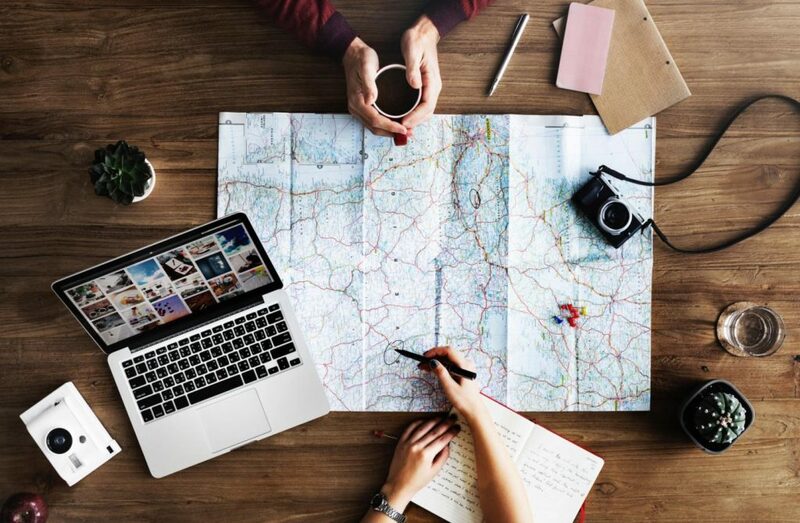 And with the number of options available for digital nomads like you, you’ll surely find accommodation that fits your work requirements, personal preferences and set budget. In this tutorial I will explain you step by step how to start a wordpress blog on Bluehost. 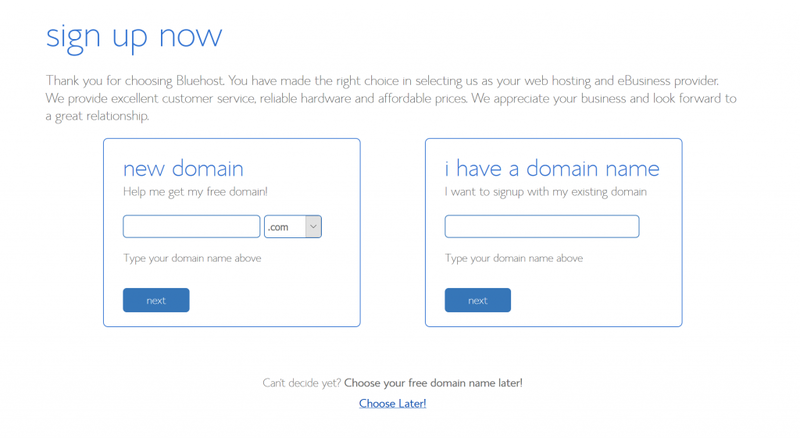 You can go straight to Bluehost by clicking here while following the following steps. Bluehost is a great and cheap hosting company with 24hs 7×365 support, they give you a FREE domain and free SSL certificate ( allows your site to be “https” instead of only “http” ) that I strongly recommend you install. My experience with Bluehost has always been more than satisfactory. Blogging is a wonderful activity, it has the power to change your life, lets you connect with other people. It is another way of growing as a person, at the same time can give you the chance to be independent and work from home or anywhere in the world. Bluehost is one the world’s best companies. It is worth to pay for blog hosting, starting at only $ 3.95 per month. I recommend you to pay for 12 month plan or longer. But the best deal is to pay for 36 months because the monthly rate is much lower. Having a self hosted blog is the best way to build your authority. More than 2 million people use it and top bloggers and influencers recommend it. You get a FREE SSL certificate that allows you to have a secure “https” version of your site. 24/7 support. In my experience I’ve seen the support team are very responsive. Click here to open Bluehost in another tab so you can follow then the steps below. Click on the Get Started Now green button to continue to the next page. 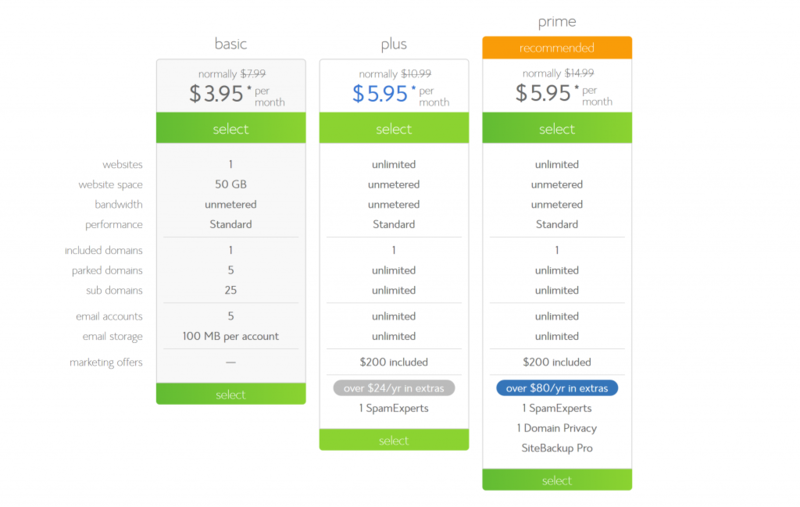 Here you need to choose if you are going pay for 12,24 or 36 months. In terms of pricing, 36 months is the best option as it has the lower monthly rate. Here simply you choose your domain name. Then you enter you personal information and also choose whether you want privacy information or not. If you choose NOT to have privacy information then someone can go to whois and check you are the owner of that site and get also your email. Spammers usually take advantage of this information and then send spam emails. It is up to you if you want this extra security level. If when you go to you site you see it starts with “https://” you can skip this step. But in my experience sometimes is not like this, so you need to install the SSL certificate that allows your site to be a secure site. 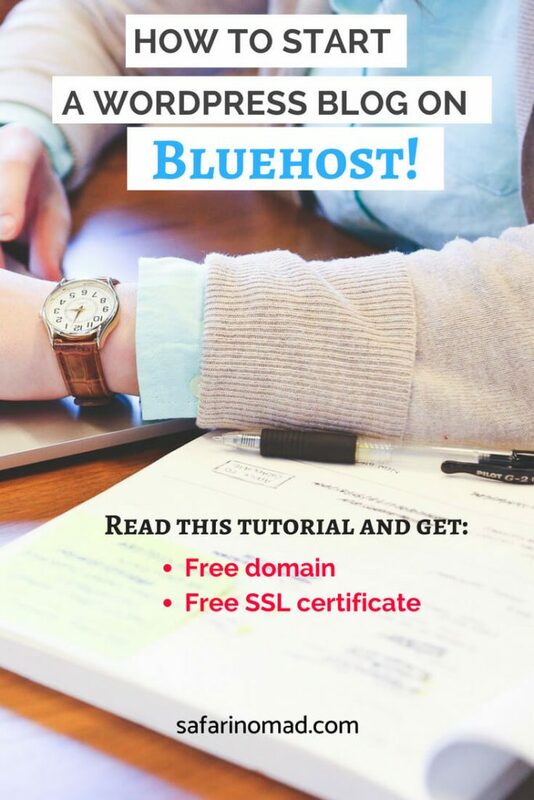 You can follow this guide to do it : https://my.bluehost.com/hosting/help/free-ssl If you have problems or doubts about it you can contact the support team by chat or phone and they will kindly help you. The design and “look and feel” of your site is a very important aspect. If when starting you want to use a free theme I recommend you Generate Press, because it is lightweight and optimized for mobile. However, I strongly recommend you to have a well design and professional theme, because it will allow you to configure and change the design of your site easier. A good source of themes is Theme Forest. This is the list of WordPress plugin I recommend you to use. There are other alternatives for each, you can experiment and try what’s the best for you. Yoast SEO plugin. This plugin will add a tab at the end of your article where you can see the SEO optimization for the keyword you selected. It will tell you what you need to improve in a very simple way. Also will give you a readability score based on your text writing. Elementor: a free drag & drop page builder for creating landing pages. Pinterest Pin It Button On Image Hover : this makes that your images show a Pin it button. In this way people can share on Pinterest and increase your traffic. Social Warfare: for adding sharing buttons. WP Super Cache: having a cache makes your site faster. Wp-Insert: for adding display ads in your site. In addition, I have a 7-day blogging course by email where I go more in depth with technical aspects of blogging, how you can money with it and my best tips. You can subscribe below. In this free course, you will learn how to create a blog, the technical aspects of it and how give value to your readers and make money with blogging. 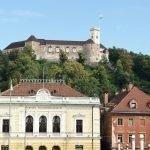 Hi and welcome to our Blog! 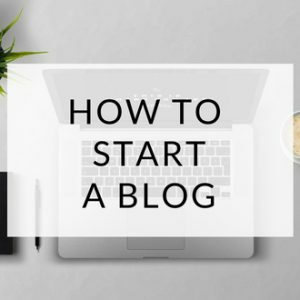 In this post you will learn how to start a blog. Being a Blogger can be a fascinating journey but tough. I have failed in my past blogs when I started over 10 years ago because I didn’t have the right concepts and tools. And this is what I am going to help you with here, so you it doesn’t happen the same to you. There are several skills you need to know and apply in order to have success. And like every skill it requires practice and patience. Read carefully this article and you will understand it better. Hope you enjoy it! If you are going to start a blog it is better you write about a topic you know very well and feel interested or you are passionate about. Why? Well because in the long term is going to be easier for you to be adding content and giving value to people. Remember the rule number 1 for a successful blog is about adding value to people so this can build your authority and credibility. 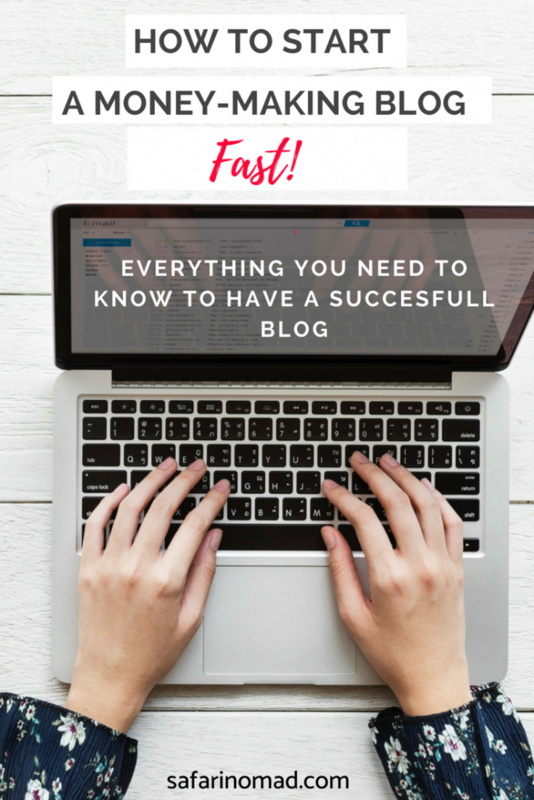 Here are the steps you you need to follow in order to start a successful blog. 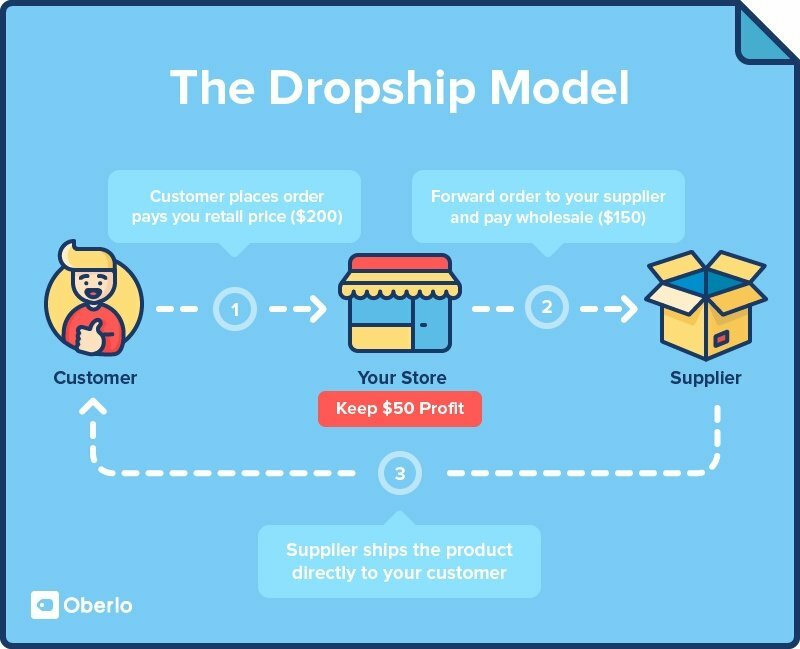 The first 4 steps are mechanical steps and more easy to implement. But 5) and 6) is where you need to put your creativity and hard work. Decide your niche or what to blog about. Choose a web hosting company for your blog. I recommend Bluehost. Set up your blog by adding necessary plugins. 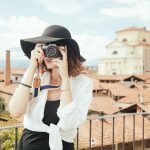 Choose a theme design for your blog ( free or paid). Writing quality content based on a content strategy with proper keyword research. 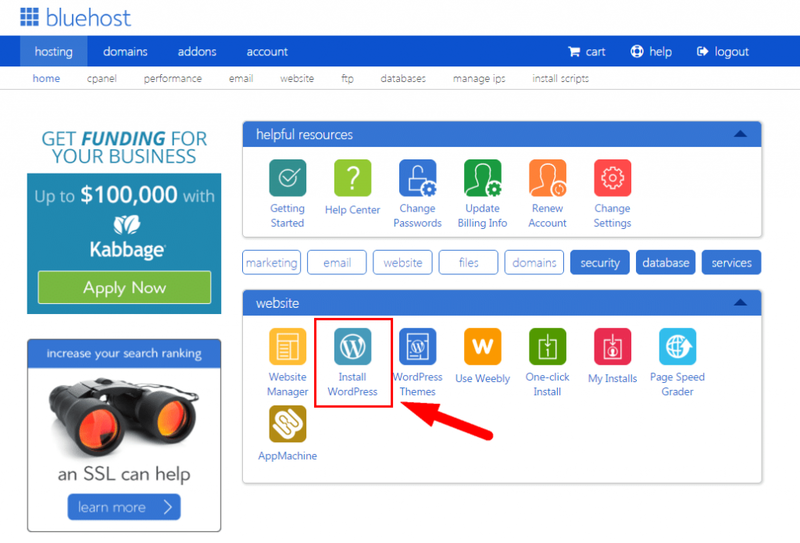 If you want to know how to set up a WordPress site with Bluehost you can read my guide How To Start A WordPress Blog On Bluehost. Selling your services: Like for example you can have a blog where you teach people how to cook vegan food or how to fix things at home and charge a fixed amount of money for that. People can either download the content or access to watch online or even pay a monthly subscription. Through advertisement: This is the basic way to monetize your site and start earning money. The typical thing is to show AdSense ads in your website and then when people click on them you get certain amount of money. AdSense is from Google and works very good. However there are lots of other advertisement platforms to consider. Through affiliate marketing: Here is where you can make a good money and the best way to monetize your blog. Affiliate marketing basically means that you offer a product in your site and when people click on the link and purchase that product you get a commission. For example clickbank is a popular affiliate network where you can find lots of affiliate products. The good thing about this affiliate network is that the products pay high commissions, up to 70 %. As a result your earning will be much better. Products: You can sell virtual products like a course or a software or an eBook or physical products like a book. 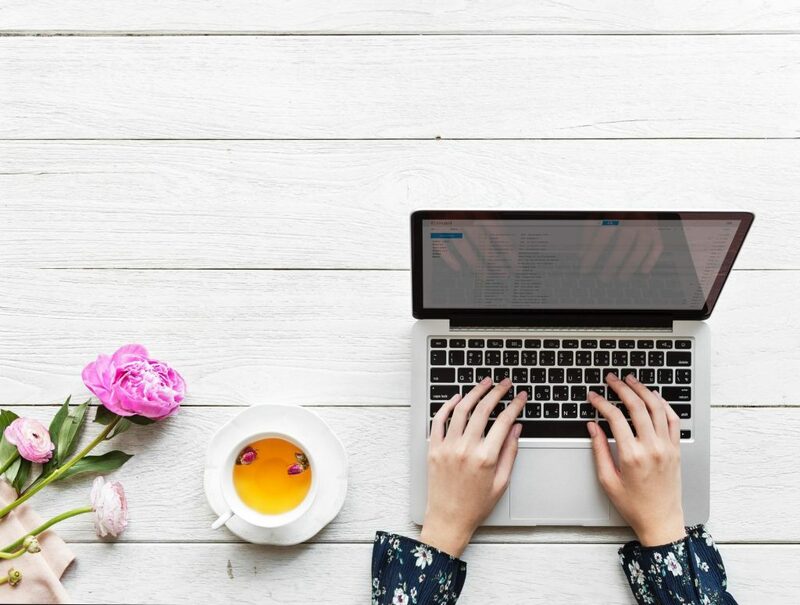 I am sharing with you for FREE my e-mail course about how to start a blog where I will tell you my best tips and secrets for having a successful blog. Day 1: Deciding what to blog about. Day 2: How to create your blog on WordPress. Day 3: Content strategy, keyword research. Day 4: How you can make money with your blog. Day 5: What tools you need for your site. Day 6: How to grow traffic and get more email subscribers. Day 7: Building backlinks and bonus tips. A blog is simply a website that has informational content related to a certain topic. In addition, a blog is a collection of articles or guest posts. 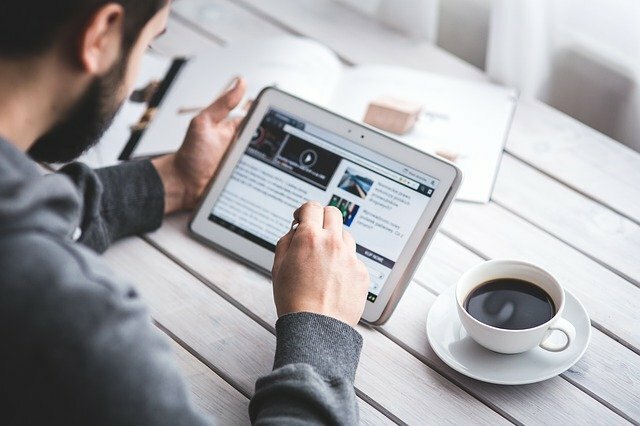 A blog can be personal or also part of a big company. Nowadays are popular people who have a personal fashion blog where they share their tips about styling. You should start a blog if you the interest and passion for sharing to the world what you have to say. If you think you can add value and help others then is worth you can start blogging. Having a blog can change your life and give you financial freedom. 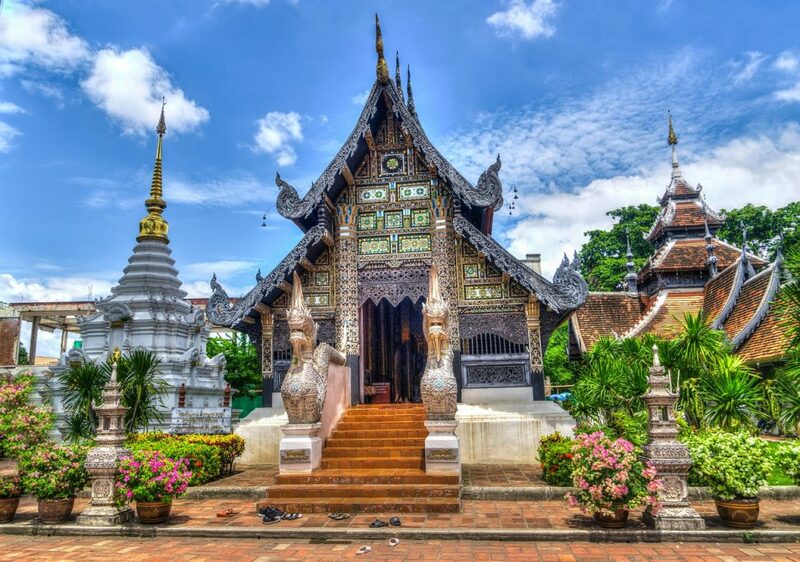 You can be a digital nomad and live where you wish while traveling the world. People blog for different reasons. There are those who just love writing and think they can help others with their content. On the other hand there are other people who also love writing but has more a business mind and consider a blog like a real business. Those professional bloggers can make a full income without need to have a common 9-5 job. You can get paid with several ways. Google through AdSense can pay you with transfer wire, check or western union for example, depending on your location. On the other hand, some affiliate platforms pay trough Paypal and bank transfer. If you are doing sponsored posts you can agree with your client the way of payment. This is hard to answer because it depends first of all on how much effort and working hours you put and also is related to the quality of content you create. If you understand very well the concepts I am going to explain you in the free e-mail course about how to start a blog and then you take massive action creating high quality content with a strategic planning, you could start earning money in 3-5 months. Like happened with this blog. You need to consider that how much money you can earn money with blogging depends on the niche you choose ( there are some niches that will pay you more with AdSense for example) , the traffic you have ( amount of people who visit your site) or the products you offer. A nomadic lifestyle always has been an interesting and anxious expedition which opens the way to meet many places. Before setting out for a nomadic life it is better to pay all your debts and you should have a plan to earn money on your way. Although nomadic life seems to be fascinating, it also possesses some requirements which should be satisfied to enjoy such a standard of life. 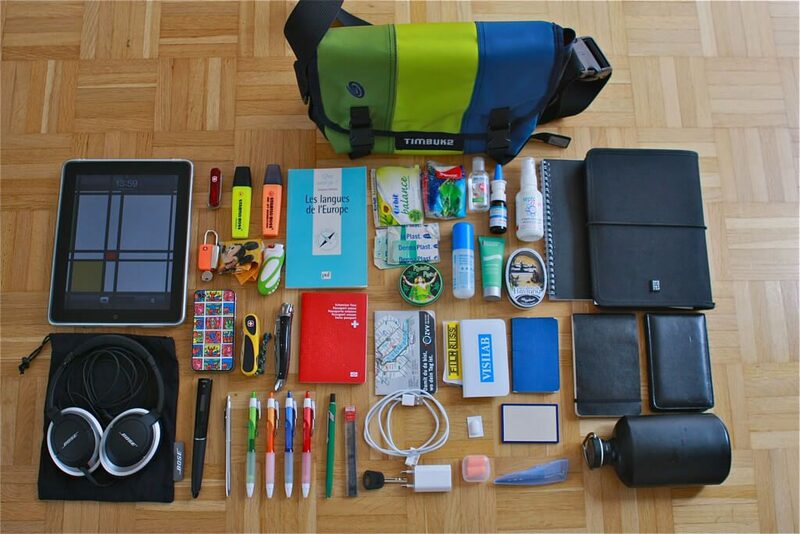 Therefore, in this article we will talk about the essential packing list every digital nomad should have. The essentials required for a perfect nomadic life shall vary from person to person as everyone considers their favorite object to be more essential. It is true that persons moving from place to place do not require immovable assets but there are certain other valuable belongings which can make nomadic life to be more virtual and interesting. This article shall enlist the most crucial aspects that an exact modern nomad should possess. Now let’s leap into the travel list. A travel backpack ranks first in the list of the nomadic requirements. Even more specific, it’s better to own an internal frame backpack as it can provide a comfortable hike to the user. The waterproof travel backpack should be picked in such a way that the internal volume is more than 60 L as it is going to be a long-term travel. Being a nomad, you make eventual sojourns at different places while you walk. But how can you make a tent? You need a robust high-quality tent which can be easily folded and attached to your backpack. Moreover, it is your backpack which is going to carry the entire burden you bear and so it is the responsibility of the individual to purchase the backpack with extreme quality. When you travel from one country to another, it is the responsibility of the individual to possess his paper works. People believe that a great gear can make a trip or break your trip. True to those words, without passports, your trip shall break and become void. Also make sure, that your backpack has some specific waterproof compartments to house such paper works. Such reinforcements in the backpack shall be very helpful at times of heavy downpour. Getting your passports drenched or stolen shall be one of your worst experiences. Even though it seems to be odd, it is always good to store your passports in a zip lock cover and conceal it in a place where no one can suspect. Not only for a nomadic life but for any individual are clothes considered as one of the primary requirements in life. At the same time, stuffing your backpack with more clothes shall make your backpack heavier and moving with such a backpack shall be worse. So, it is better if you pack some trousers, pants, t-shirts, gloves, a raincoat, and a blanket. In case, if you happen to find your clothes unfit to wear then you can purchase some in your nearby stores. That way you can reduce a lot of weight in your backpack. Make sure that you have a clear idea about your visiting places and posses garments as per the climatic conditions there. The smartphone is the recent development of technology which helps an individual to communicate, share photos, chat etc. Tasks which cannot be performed by a smart phone are very rare. Also, finding an individual without a smartphone shall be very uncommon. Apart from the various critics on the smartphones, they are valuable possessions which can help a nomadic person to communicate, to browse the internet, etc. Most of the people include only the smartphones in their checklist while they set out for a travel. They forget the charger without having any thought about how they are going to energize their smartphone once it is devoid of power. So, for a successful digital nomad, a smartphone along with the charger shall also prove to be a life-saving gadget. Shoes, when packed inside the backpack, shall make the backpack heavy. That too, when you pack two or more pairs of shoes which is compatible with different climates and landscapes then you will have a heavy load. Hence, it is enough if nomads to possess a pair of simple shoe which can sustain all weather and landscapes. Also, before buying that gear it is crucial to check its weight also. Heavy shoes, and shoes that cause scratches and abrasions while you walk, should be ignored as there is a greater possibility to limit your speed while you hike. The basic toiletries involve toothbrush, toothpaste, deodorants, tissue papers, shaving accessories, soaps etc. Wherever you go, always have an accustomed type of toiletries, in order to keep you safe from unwanted allergies and discomforts. Avoid unwanted and cosmetic toiletries like scents, elixirs etc which shall burden you a lot. If you are going to stay in a desert or hilly region what is the point of using a scent over there. Therefore, possession of basic toiletries is more than enough for a nomadic travel. Whatever may be the type of travel you undergo, it is always better to have a small first aid kit. No one expects sudden illness during a travel and only when it occurs to someone, that particular person shall understand the inevitability of a first aid kit. Especially, it is a life saving box when you decide to stay far away from other people like forests, strange landscapes. Let your box contain paracetamol, analgesics, plasters, safety pins, tweezers, skin rash cream, antiseptic cream, cough medicine, antihistamine tablets, eye wash, cream to relieve from insects and bugs etc. Water is required not only when anyone goes for a hike or a travel, is the second most primary requirement in the world for any man to live. Water shall not be available in the same taste and quality wherever you go. Some water may be salty and some other may be sweet. But, it is better that you don’t take any chance against your health. In the meantime, you cannot buy water bottles throughout a long-term trip. So, it shall be better, if you purchase a water purifier through which you can get high-quality water even when from a tap water. Of course, sunglasses seem to be an odd requirement when you go on a trip. But, it is one of the highly required items which helps to protect your eyes from the harmful ultra-violet rays of the sun. Especially, when you prefer to travel in the semi-arid region, sunglasses shall prove to be a gift from the paradise. Also, sunglasses can prevent hot air from embracing your eyes and also in regions of high vegetation it can prevent encountering of insects on your eyes. So, while stepping out for a nomadic travel, have a sunglass which is certainly a life-saving gadget. It is a common need that any individual on this earth is striving to earn it. If you are about to settle in a strange region where there aren’t any occupants then money is of no use to you. But, before getting to such a place it is essential to purchase your adequate requirements. Also, do not forget your credit and debit cards which shall help you in many ways of money transfer. Being a digital nomad is something more and more people dream of. This lifestyle has become very popular over the last couple of years and that is for some very good reasons. Today we are going to give you 6 reasons why you should become a digital nomad. Everyone dreams of a life where they are free to do what they want and be when they want when they chose to. This lifestyle is the one that seems to allow you exactly that. We think that such a lifestyle might not be for everyone, but for some, it is definitely the right thing. If you are reading this is probably because you want that kind of lifestyle. If you are still hesitating then you are in the right place. Are you ready to become a digital nomad? This is probably one of the main reasons why people become digital nomads. The good thing about this lifestyle is that you become location independent. You can place your office wherever you want, in any part of the world. You gain the freedom to move as you want, work as you want and do it when you want from where you want. With all the means of transportation, the world has become small. You can take a plane and land in a completely different country only after a couple of hours, with different food, people, and culture. This makes us want to get out there and explore everything this beautiful world has to offer. If you have a normal job it can get hard due to the lack of vacation and the fact that you are stuck in one place. As a digital nomad, you can travel, explore and all that while you work and earn money. The only thing you need is to have an internet connection. Everybody should be entitled to live the life that makes them happy. And this lifestyle is one that allows you that. Do you want to work in your pj’s the whole day? Do you want to stay at home and watch series? The good thing about it is that you can decide what you want to do with your time. Sure, you will have to work, but you can create your own ways of making money around your passion. You can earn an income with something you like and enjoy. A lot of people force themselves into a job they don’t like, to live a life they don’t want. If you feel like that won’t make you happy you need to change something about it. As a digital nomad, you are able to create your own happiness. You are able to decide for yourself what is good for you and what is not, and how you want to spend your life. Getting out of your comfort zone is probably one of the best ways to get to know yourself. And as a digital nomad, you will be constantly getting out of your comfort zone. This will teach you a lot about yourself, your limits, fears, and boundaries. It will teach you how much you can take and what makes you happy. You will also learn about when you are most productive, your best ways to work and how to keep yourself motivated and organized. Maybe you discover passions you didn’t know you had because you never got time to uncover them. You get to know the things you hate, what you really need and what you just want. All these things you might have never found out by staying at home because you wouldn’t have seen other things to show you that there are more options than the ones you know. Restrictions are something from the past. Having a 9-5 job where you have to go every day to then go the next day again to do the same thing is not on the table anymore. Creating your routine around your job is gone. Now it is more about incorporating your job into your routine, doesn’t that sound much better? Every day can be different if you want. You can create a new office every day. You can stay at home and work from bed if you want. You can create your own routine the way you want to. 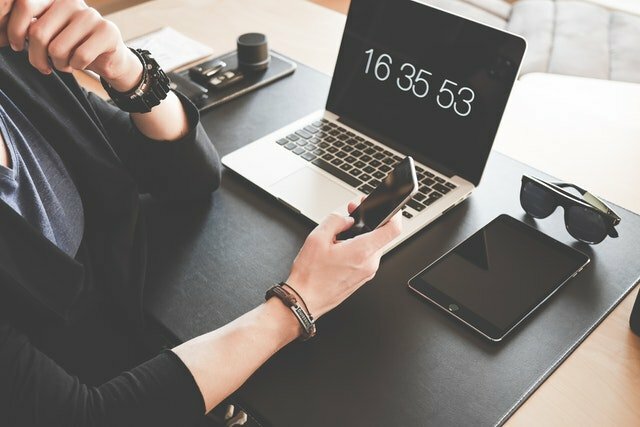 For remote workers, it might be more scheduled but usually is also pretty flexible. If you are wondering how digital nomads make an income then check out this 10 jobs for digital nomads . This can be a great start if you are looking to go nomad. As a digital nomad, you will be moving quite a lot. 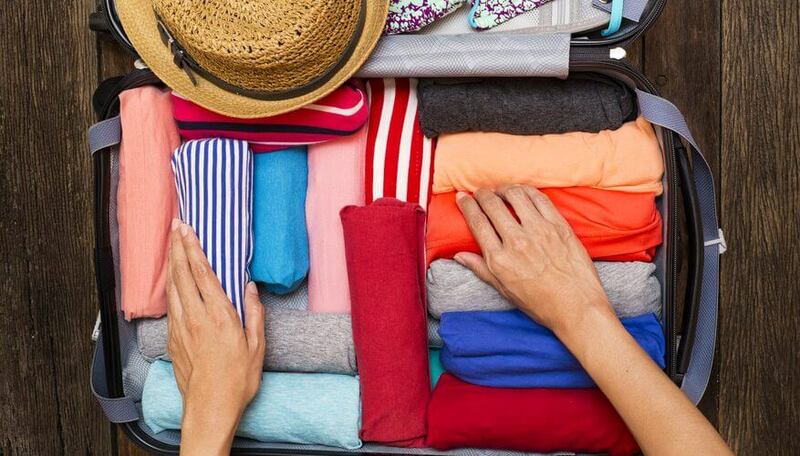 This means that you will have everything you want to take with you in one bag. And as we all know, one bag is not that much space. This means that you won’t be able to have as many things with you as you have at home. This can be a really good thing. It shows you that you don’t need that much to be happy and that we can live with much less than we own. You learn to become less materialistic, and that important things in life are not actually things, but the moments, memories and experiences you collect. Since you are able to make your own decisions and spend the time the way you want to, a lot of opportunities open up for you. Working as a freelancer you can also take on more projects, get to know other digital nomads and that might lead to other projects and work opportunities you might never have had at home. You can get to know other people that are in the same situations as you and push each other. Others will be further than you and can help you, or they might have a network that can. Life on the road puts you a lot of people along the way. You will meet awesome people and from some, you might be able to benefit from, socially as business wise. Your network is the most important thing. 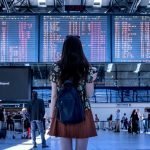 Ready to become a digital nomad? There are many reasons to become a digital nomad and these where only some of them. Of course, the life as a digital nomad is not only fun and happiness. You will also have some hard times along the way, but it is totally worth it. What you learn, experience and the memories you make is something that no money can buy. If you dream about to become a digital nomad then you should go for it. Just make the decision to do so and start your journey. 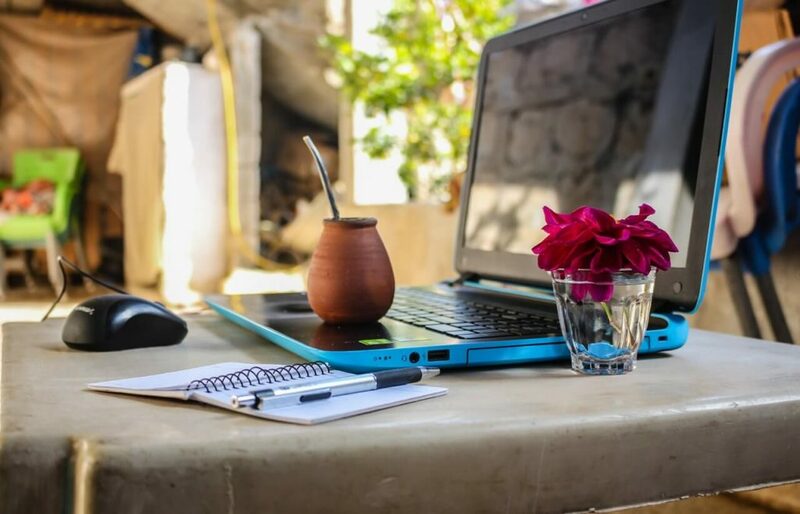 And to be prepared get ready reading this 10 things a first-time digital nomad should know . Let us know if you have any other good reasons to become a digital nomad, we would love to hear them all! 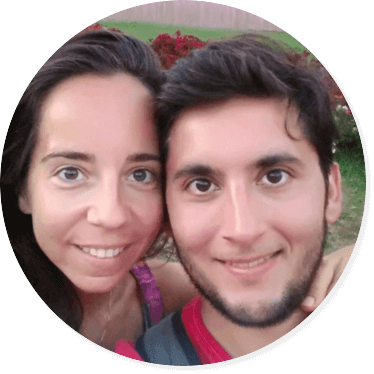 We are Carla and Oliver and together we run Exciting Adventure . We left our lives in Berlin to travel and explore the world. We became nomads by doing it and now we are on our way to become digital. You can follow our journey on our blog, where we give useful tips so that you can do the same. We believe that everyone should do what they love, and for us, it is easier as digital nomads.